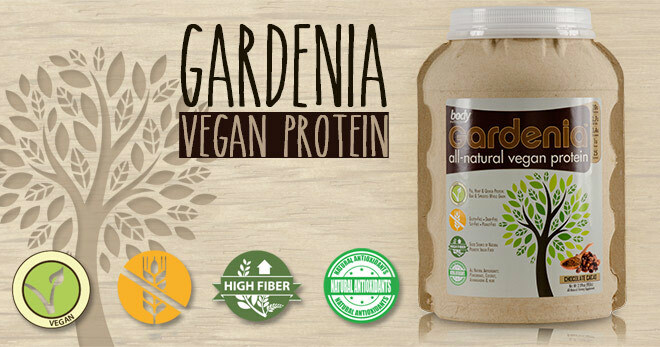 Gardenia is the perfect all-natural vegan gourmet protein. We chose a combination of non-GMO pea, quinoa & hemp proteins for their high protein values, complete amino acid profiles & sustainable harvesting. We then complemented these proteins with a selection of the very best greens, superfruits & botanicals. These nutrients provide key phytosterols, antioxidants and vitamins & minerals to help promote your optimal health & well-being. BEST TASTING VEGAN PROTEIN AVAILABLE. PERIOD. If you’ve been let down by the flavor or vegan proteins before, Gardenia will change your mind! Gardenia began as an idea with our chief formulator, a vegetarian for 20 years. We set out to fill a void in the market just as we did with Trutein. We wanted to create the highest-quality plant-based protein that tasted amazing. Every vegan protein that we had tried tasted earthy, grainy & essentially unpalatable. With Gardenia we bring to the market a vegan protein that is bar-none the best tasting formula available and it is something that you’ll look forward to drinking and you’ll enjoy each sip. Contains 5 g of fiber and only 150 calories. Made in Lake Mills, Wisconsin by using renewable energy.